birthday dessert ideas: The Gateway comes to Chennai..
REFRESH... F5 ... those were the key words for the day! Why? Well, it was time to refresh the hospitality sector in Chennai, time to welcome a new entrant, accept the fact that Chennai had also arrived..
We walked into the open lobby and instantly I noticed the piece of art on the wall- it was from Kailashnath temple in Kancheepuram, and the seating area beyond that had another section from the same temple. 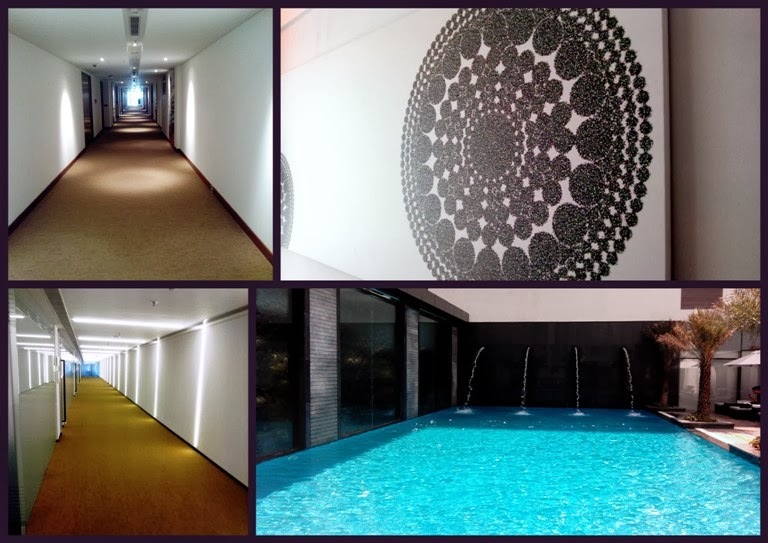 And suddenly there was sunlight streaming in, a long pathway that led to the banquet hall flanked by the swimming pool on one side and a restaurant on the other. We then entered the hall and it took us a minute to get our eyes adjusted to the dim lighting. Straight ahead was something that resembled a stack of honeycombs. There were 7 in total with people sitting in them. There were a few with musical instruments and 2 ladies who looked like dancers, one on the top grid and another below. The performance that followed was beautiful, soothing and captivating! So, what was the event? The Gateway was opening its doors officially in Chennai!! 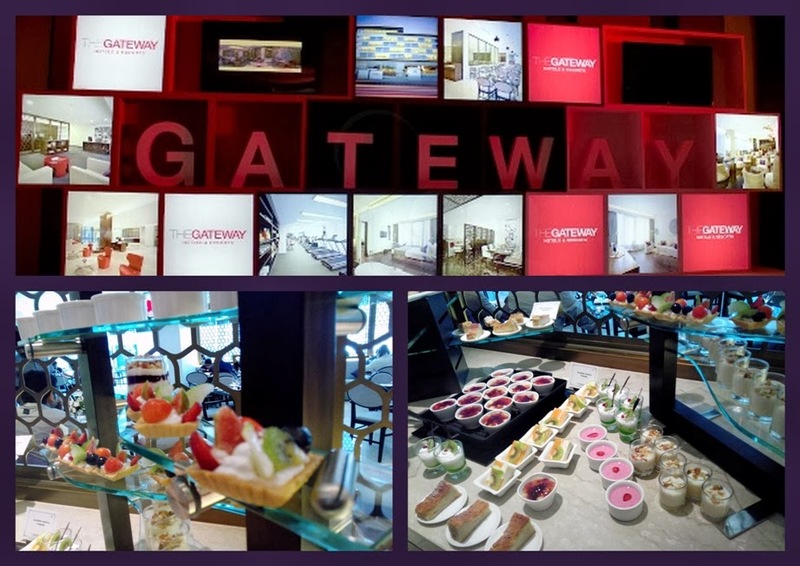 The Taj Group launched The Gateway Hotel IT Expressway Chennai, the first hotel under the Gateway Hotels & Resorts brand in the city. 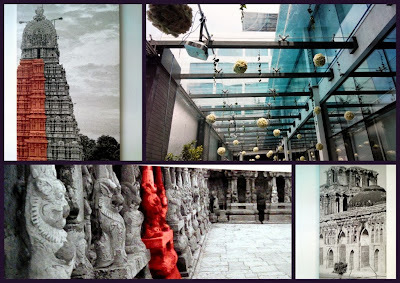 The brand unveiled in 2008 caters primarily to the upscale segment, welcoming business executives and travellers alike. The rooms here range between Rs 4,500 and Rs 8,500. The group plans to set up 20 more Gateway hotels over the next 2-3 years pan India -Tirupati, Corbett, Pune, Raipur , Kolkata, and Faridabad with an investment of Rs 50 lakhs a room. During the launch meet, Prabhat Verma, chief operating officer, The Gateway Hotels & Resorts said "Eight more hotels will come up in the next 18 months and we will have 40 plus hotels coming up in the next three years and double this number in six years". Wow, that is quite an overwhelming number! We were also introduced to the chief Chef- Natarajan who spoke about how Tanjore cuisine is going to play a big role int he food served in the main restaurant. And then we were given the grand tour of the place. First stop was the Sian - the restaurant offering Oriental cuisine. it has been elegantly done up in simple colours and comfortable seating. From there, we meandered through the lobby towards Swirl, the bar. Long and spacious, it was quite bright unlike most other pubs/bars we see in the city. Looked like a cool place to hang out with a bunch of friends. The walls across the corridors were done up aesthetically with art work reflecting out tamil culture and heritage. We were then shown to the elevator and headed upstairs to take a tour of the place beyond. We saw a few rooms, the conference halls, the gym, the spa and wound up with a view of the beautiful swimming pool. And then, Lunch was served. There was a strange looking barrel filled with ice with glass bottles filled with water like liquid in them. Discovered these were flavoured water- some had slices of strawberry, while others had thyme, and then there were a few with cardamom pods and sabja seeds in them. The one thing that impressed me about the entire space was the use of natural lighting. It makes such a big difference, both visually and aesthetically. It is always lovely to sit in a restaurant that is naturally lit against one filled with light fixtures. The restaurant offered buffet lunch, with dishes spanning from India [both North Indian & South Indian], Italy and to other parts of the world as well. There was quite a spread- breads, juices [bitter gourd and gooseberry], different kinds of cheeses, olives, cured meat, salads, mini starters, lasagne [single portion size in circles], naan daal, vathakozhambu Knol kol curry to exotic dishes as well. There were some interesting desserts, some of which had fresh figs, kiwi, strawberries and other candied items on them.